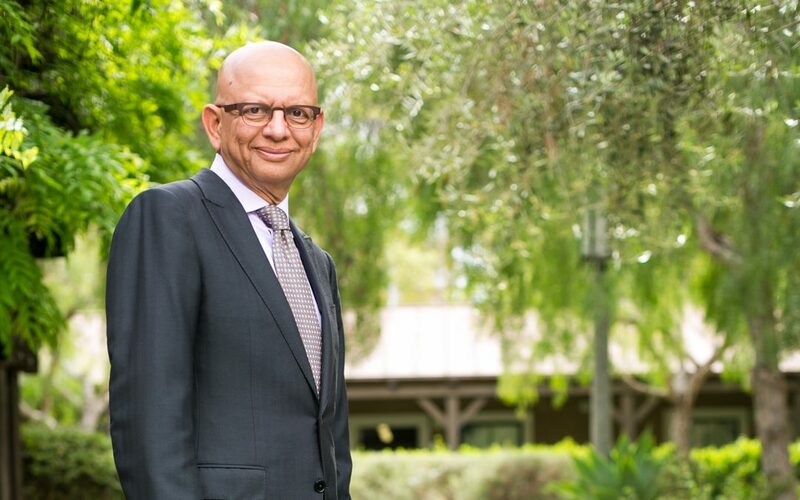 Originally published on the UCI Paul Merage School Of Business website on April 3, 2018. Vijay Gurbaxani, director of the Center for Digital Transformation, professor of Information Systems and Taco Bell Chair at the Merage School, along with J. Rick Lemoine, from Sharp Healthcare, and Keith Strier, from Ernst and Young, and risk control expert Julian Heath shared their insight with leaders in involved in the international blood supply chain. At the second Alliance of Blood Operators (ABO) Chief Executives’ (CE) face-to-face meeting for 2017, Gurbaxani and his colleagues met with ABO members to discuss horizon scanning, digital transformation and advances in IT, precision medicine and security within the blood supply chain. Gurbaxani joined an expert panel to share how blood operator organizations can prepare for the digital future. Through their discussion they explored the leadership and organizational capabilities required to transform blood services into digital enterprises, and they examined current security challenges, management of invacuation and the crisis management health checks needed to ensure the security of our nation’s blood supply chain. The Alliance of Blood Operators is a global organization whose members control the vast majority of the world’s blood supply distributed to hospitals and transfusion centers. For more information, visit allianceofbloodoperators.org.